With its beaches, theme parks, Hollywood glamour, and countless places to spot your favorite celebrity, Los Angeles is an ideal destination for visitors looking for a diverse range of experiences. And the city is served by over 100 airlines – which means travelers looking to visit Los Angeles have many flight options. Plus, there are five airports located near the city. The historic Santa Monica Pier is home to the Pacific Park. The Park features a Ferris wheel, a small roller coaster, a few rides, and a trapeze school. 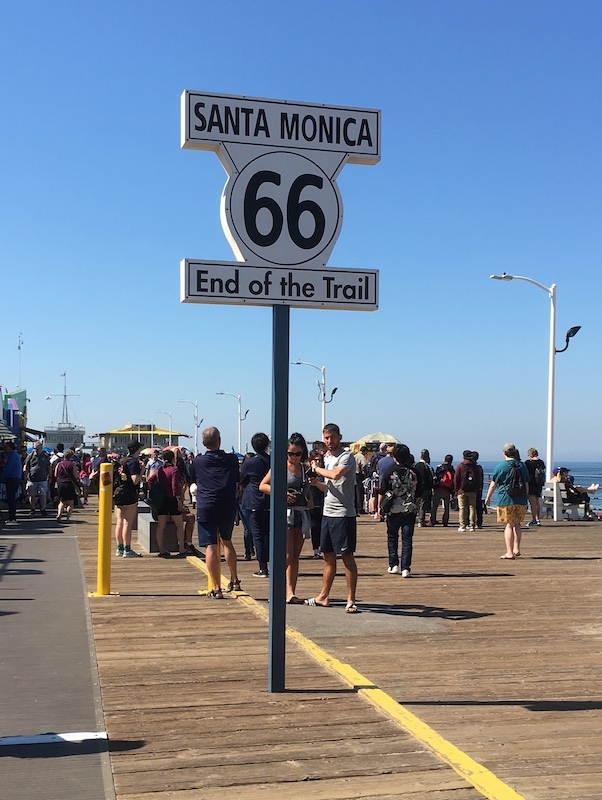 There is a Route 66 sign on the pier that marks the end of the legendary Route 66, from Chicago to Santa Monica. The iconic Griffith Observatory is located 1,134 feet above sea level. 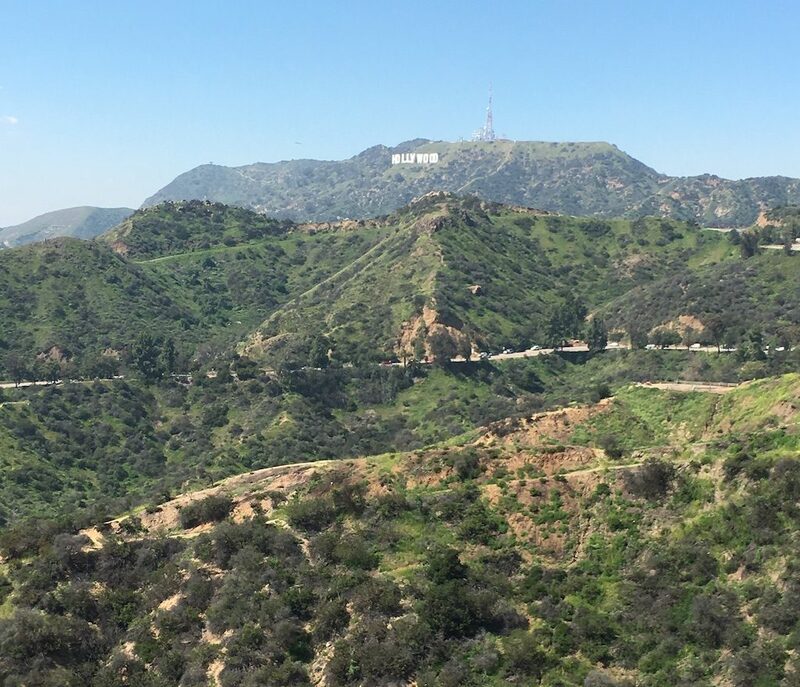 It’s one of the best spots to see the HOLLYWOOD sign and views of Los Angeles. Visitors who have time can take a short hike on the Western Observatory Trail (less than a mile) from Griffith Observatory for excellent views of the sign. Since 1934, the Original Farmer’s Market has been the place to go for good eats. Enjoy different ethnic foods and after the meal, head over to The Grove for a shopping spree. The Grove is located adjacent to the Farmer’s Market. 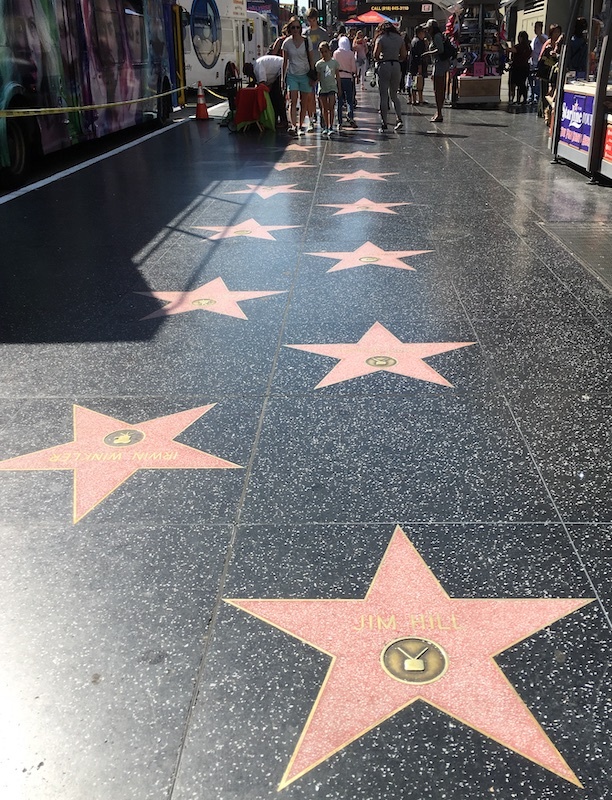 No trip to LA is complete without going to the Walk of Fame and visiting Grauman’s Chinese Theatre and Dolby Theatre (Home of the Oscars). You may get a glimpse of your favorite star at a local Starbucks or Trader’s Joe. But the best way to go star spotting is with a local guide. Your local guide will take you to celebrities’ frequented hangouts and celebrities’ homes. On the list in most tour brochures are Tom Cruise, Katy Perry, Leonardo DiCaprio, Justin Timberlake, and Johnny Depp. LA’s food scene is diverse. For a different food experience, head out to The Grand Central Market in downtown LA. 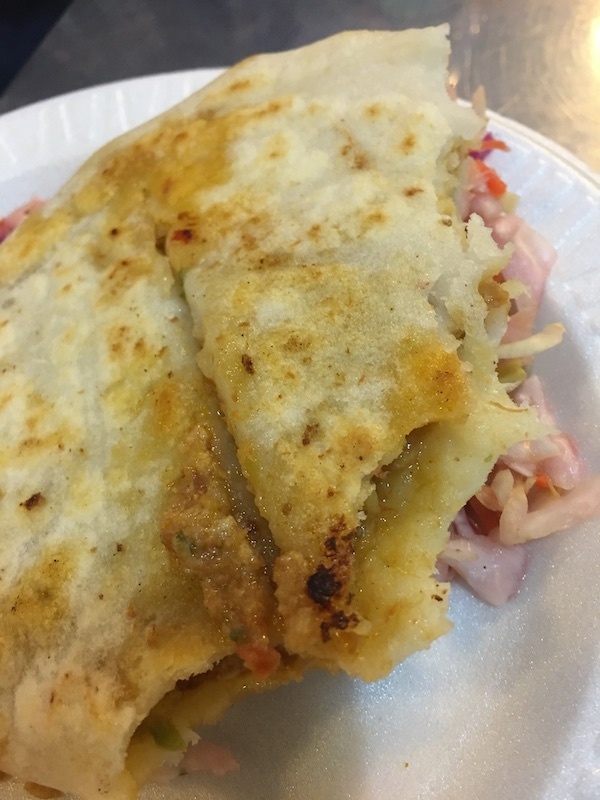 Established in 1917, the historic Grand Central Market’s Sarita’s Pupuseria offers one of the best Salvadorian pupusas in LA. Expect a long line during lunch time. But the longest line for a meal at the Grand Central Market is at Eggslut – the place for egg sandwiches and orange juice. We suggest joining a food tour to enjoy Los Angeles’ diverse food experience. Melting Pot Food Tours has seven types of food tours – from Thai town to Little India and Farmer’s Market. For those who prefer to explore without a guide, read LA Tourism Board’s The 72-hour self-guided foodie tour of Los Angeles. Sandy beaches, bike trails, alfresco dining, and lively bars are part of the fun things you can do when visiting one of the beaches in Los Angeles. 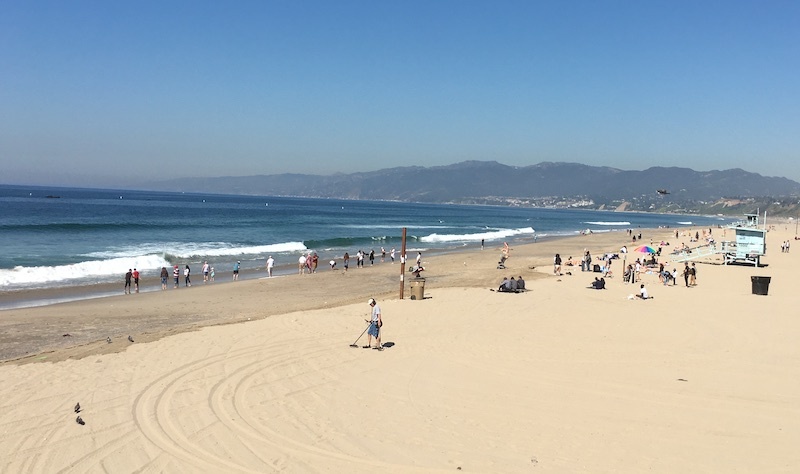 Southern California’s mild weather allows locals and visitors year-round access to the local beaches. 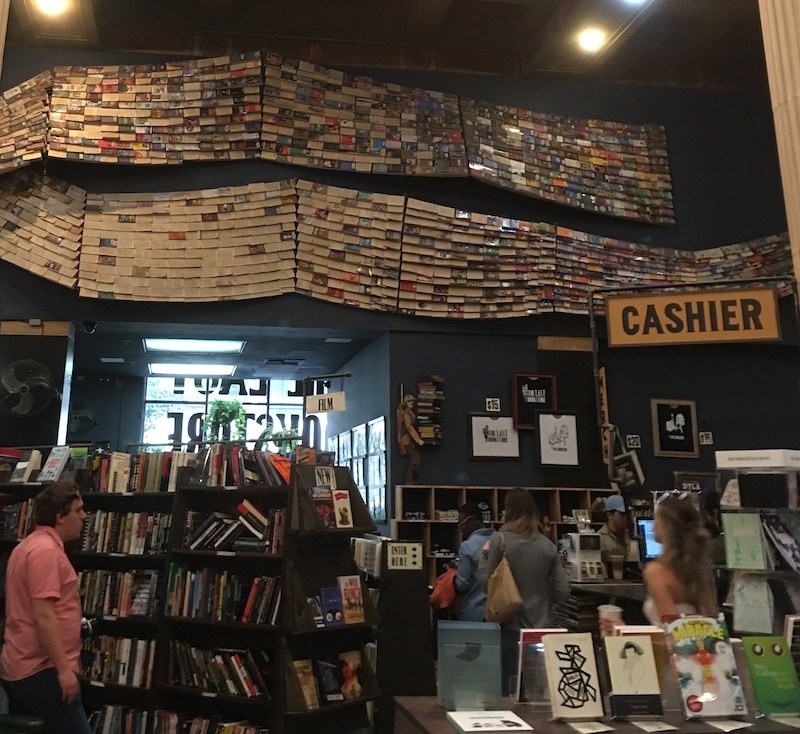 If you’re looking for a hidden treasure in Los Angeles, visit the Last Bookstore. This large bookstore has many nooks and crannies with galleries, interesting tunnels made out of books and a wide range of books. You’ll find old, vintage and new books spread out across two floors.